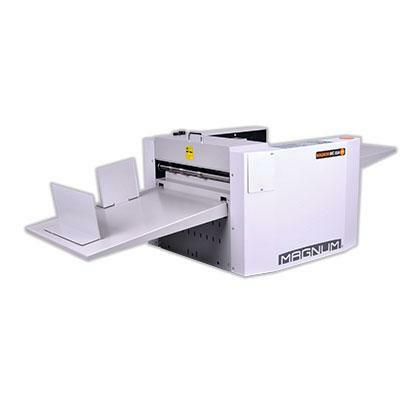 Binding Store offer a full range of paper and card creasing and folding machines from manual to fully automatic machines. We supply heavy duty and manual creasing solutions from reputable brands such as Magnum, Cyklos, Duplo, Morgana and Horizon and many more. All of our used machinery is serviced and refurbished by our engineers to ensure quality and customer satisfaction. Our unparelled range of card creasing machinery over the years has given us the experience and in depth knowledge that can help you decide the best solution for you. For expert advice and details on our stock, contact Binding Store today! 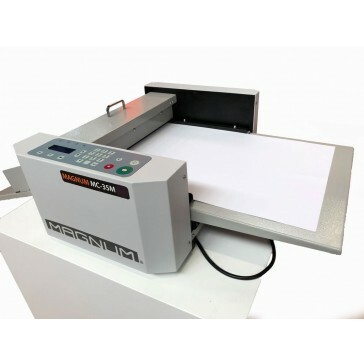 The Magnum MCR46E Electric Paper Creasing Machine is an entry level creaser that will accomodate up to SRA2 formats. 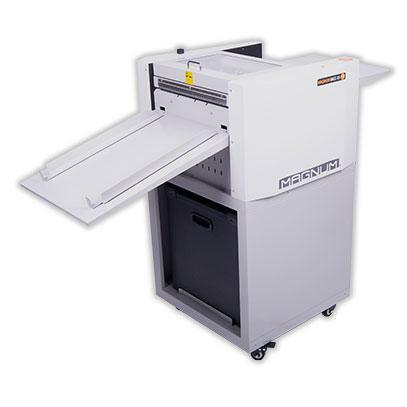 Quick and easy to use this machine is ideal for schools, offices and copy shops. A good investment for any small commercial and digital printers. Easy to operate by foot pedal for used comfort. 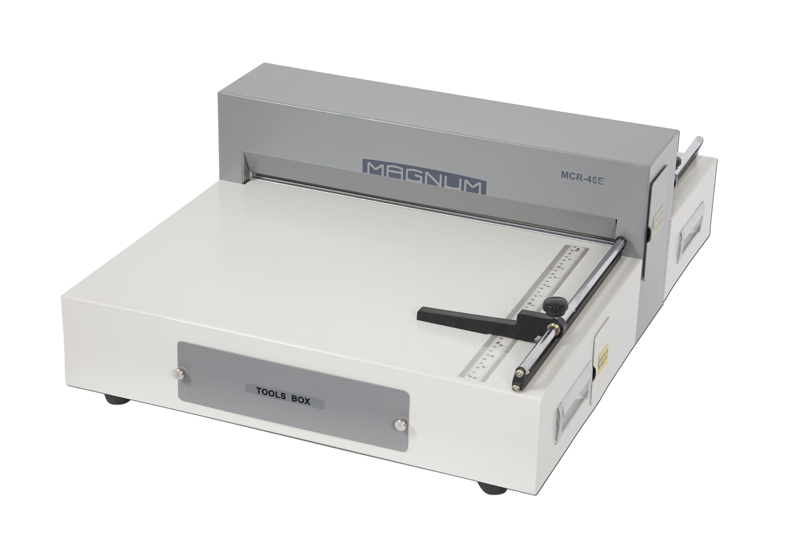 The Magnum MCR35E Electric Paper Creasing Machine is an entry level creaser that will accomodate up to SRA3 formats. Quick and easy to use this machine is ideal for schools, offices and copy shops. A good investment for any small commercial and digital printers. The creasing mechanism isoperated by foot pedal. 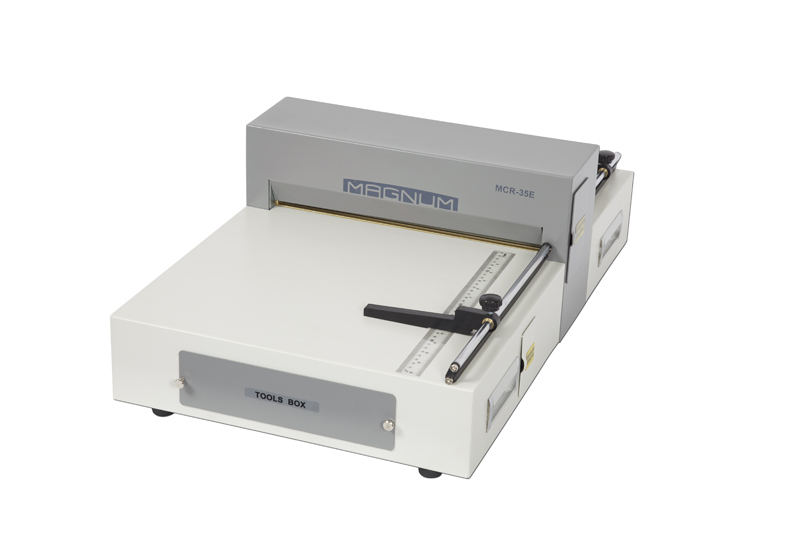 The Magnum MCR36 Manual Paper Creasing Machine is an entry level creaser that will accomodate up to SRA2 formats. Quick and easy to use this machine is ideal for schools, offices and copy shops. A good investment for any small commercial and digital printers. Best Seller! Our most popular manual creaser is a favourtie for all types of environments! Make light work of creasing with the Magnum MCR35 Manual Paper Creasing Machine. 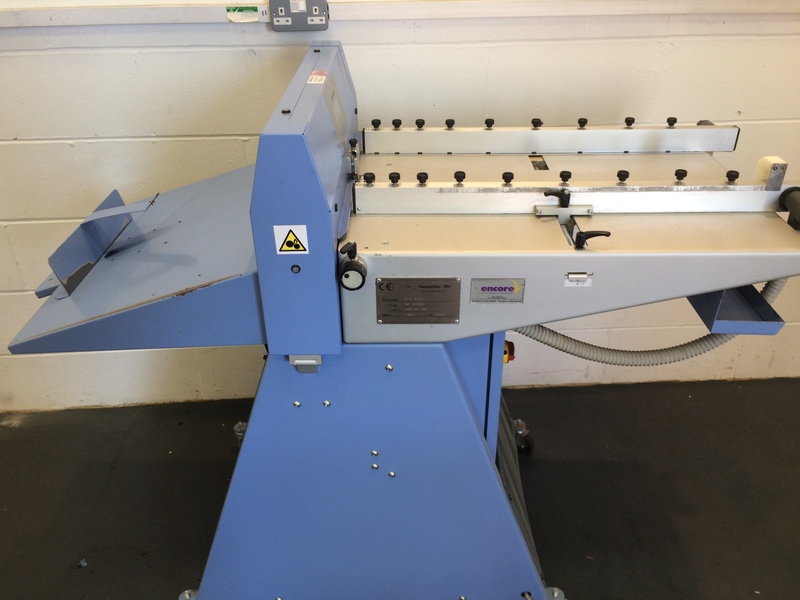 A fantastic entry level machine, this is a great solution for all small creasing jobs. 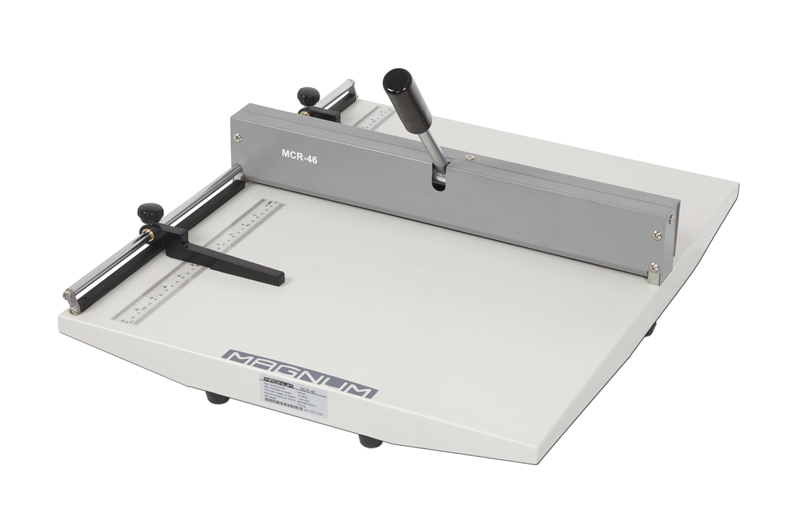 Quick and easy to set up with measurement scales to give accurate positioning, it is ideal for in-house creasing in schools, offices and copy shops. The Magnum MCR35 creaser saves you time on your creasing and gives a clean result. It can be used for menus, book covers and leaflets. A good investment for any small commercial and digital printers. 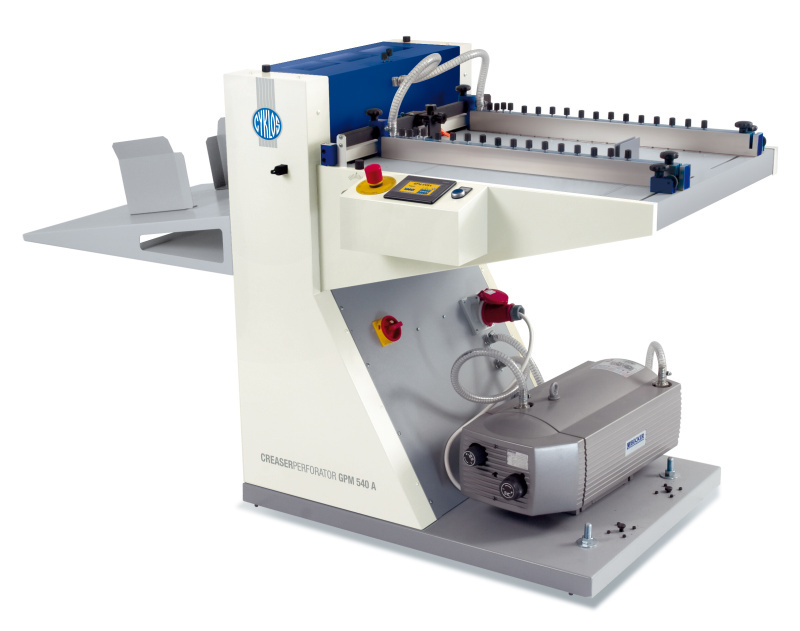 The Cyklos GPM 450 SA is a high speed automatic creasing and perforating machine. It will allow up to 10,000 sheets per hour. The machine is suction fed. The GPM 450 SA has a working width of up to 540mm and and a maximum working length of 740mm. It can produce up to 20 creases per sheet and has 3 widths of creasing channels – 1mm, 1.3mm, 1.6mm. It allows for shafts with rotarty perforating wheels for longitudinal paper processing. Programmable touch screen display with a memory of up to 99 programmes. 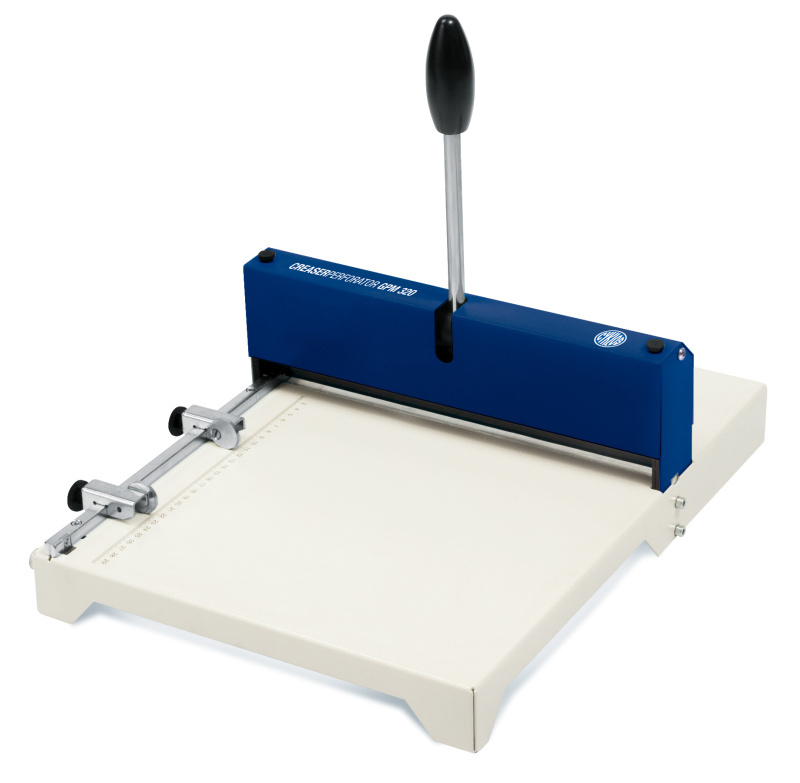 This creasing and perforating machine has the unique option of simultaneous blade and rotary cross perforation. The GPM 450 Speed electric creasing and perforating machine is the lastest development from Cyklos and follows on from the popular GPM 450SA. The new feature on the GPM 450 Speed is the unique auto friction feed system, which allows for quicker and higher output of creased and perforated sheets. The new reliable friction feeding system allows for speeds of up to 2500 sheets per hour to be creased and perforated. the touch screen display allows for easy settings to be made such as distance and number of creases. Programme storage is also possible. 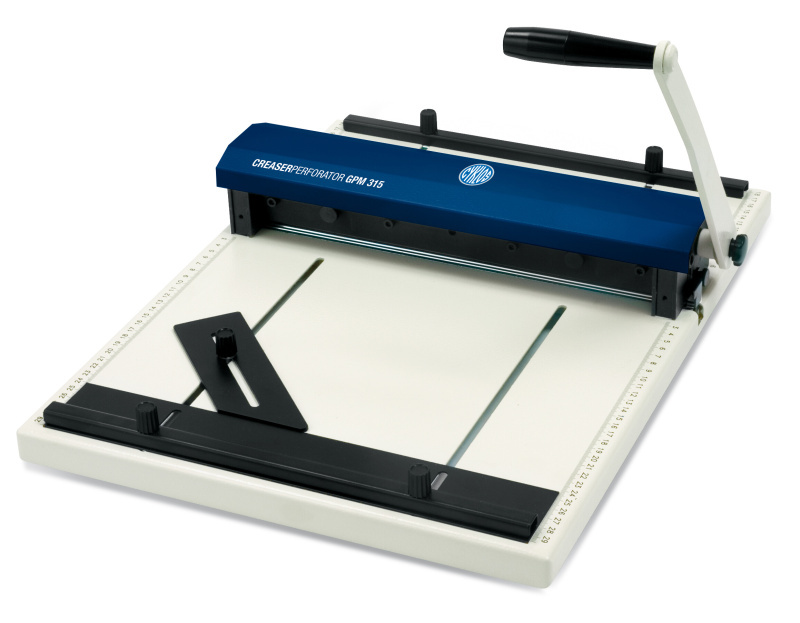 The GPM 450 Speed will do up to 15 creases per sheet and on stock of up to 400gsm. 2 widths of fine creasing are available – 0.5mm and 1mm. Comes complete with freestanding base unit, two creasing tools and one perf. tool. The Cyklos GPM 450 creasing and perforating machine is the natural progressor from hand creasing. It is operated by electric foot pedal, meaning higher output production and easier operator use. 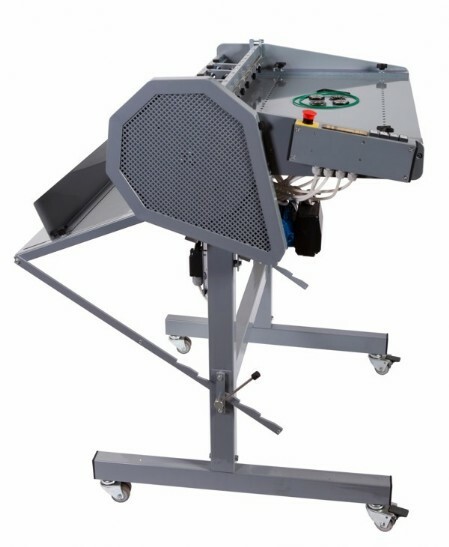 It has a large feed table and working width of up to 450mm for paper formats of up to A2. Like all Cyklos machines it has a solid metal construction making it robust and durable. It has 3 different creasing widths available – 1.2mm, 1.5mm, 1.8mm. 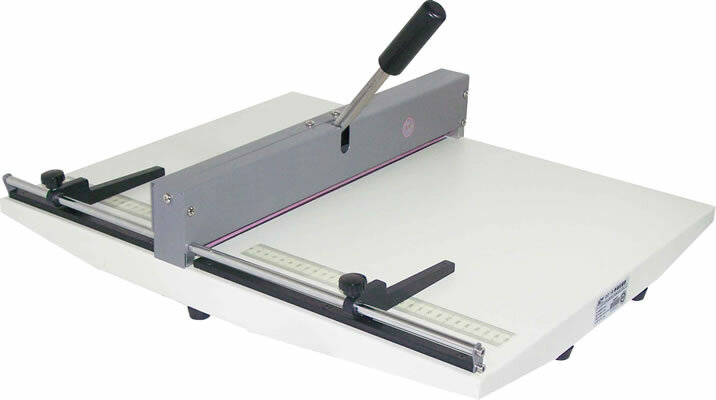 This creaser is sutiable for creasing laminated products. The Cyklos GPM 320 creasing and perforating machine is the follower to the GPM 315. 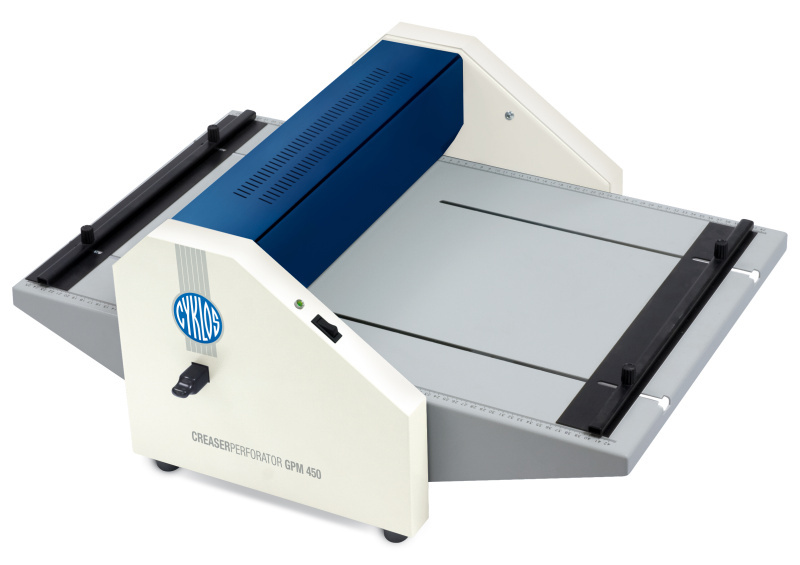 The GPM 320 has a larger working width of 320mm for formats up to SRA3 and an enhanced quality of perforation. The GPM 320 is designed for simple operator use with its ergonomic handle and quick exchange side adjustment wheels. It has 3 crease widths – 0.8mm, 1.1mm, 1.5mm. This creaser also provides high quality anvil perforating. This machine is also suitable for creasing laminated documents. 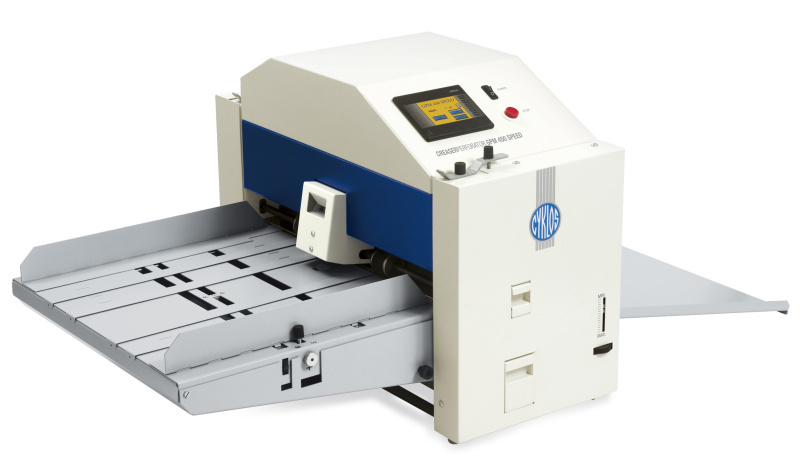 The Cyklos GPM 315 creasing and perforating machine is the best seller of all Cyklos machines. It is a reliable manual creaser that will accomodate stock with a width of up to 315mm. 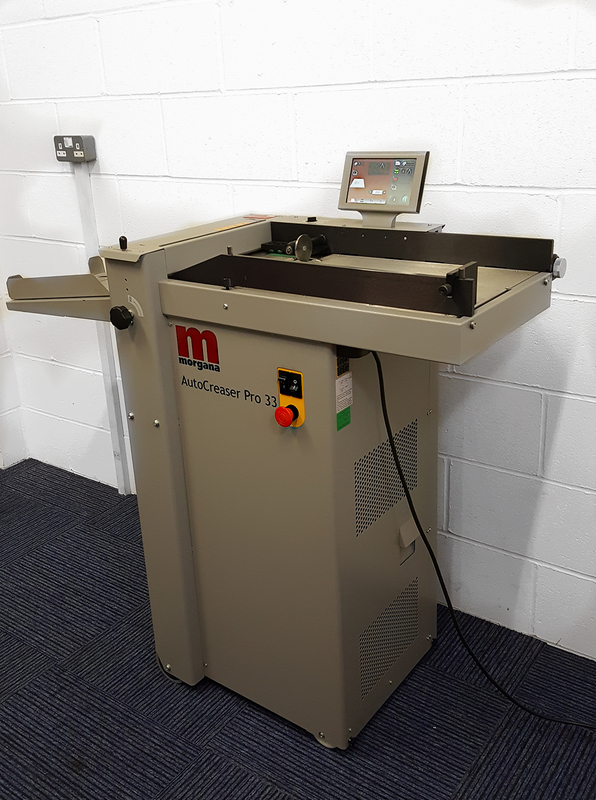 The solid metal construction is key in making this creasing and perforating machine a long lasting bit of equipment and is a main factor in why this machine is so popular. It will crease stock of up to 400gsm and perf stock of up to 250gsm.